As the proud pet guardian of a rescue dog, "Lexi," I have always wondered what her life was like before she was rescued. I still really don't know but it's nice to have the words for what she's thinking when she has a night terror or flashback, even if they are someone else's words. Sandy's Story is a compelling mix of adventure, tragedy, and hope narrated by Sandy herself. Sandy is an endearing character, which makes what she endured in the past even more tragic. Her perspective is pragmatic with humor injected into it, and I found the bits about how she was "training" her new guardians particularly amusing as I imagine that my furbaby has similar thoughts. 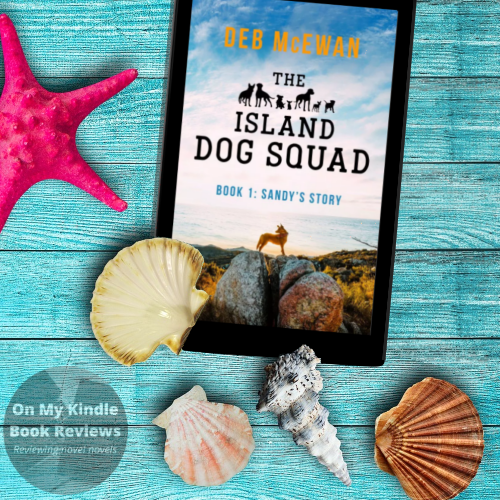 I loved how all of the dogs had distinct personalities and how those personalities played a part in their grand escape from their former home. The part Sandy played in the "great and harrowing escape" suited her, and it made me love her even more. Sandy's environment and surroundings are quite interesting as they are described from her point of view. It made me realize that the areas we, as humans, consider "small" are quite grand, even to larger dogs. When you think of it this way, the descriptions of the setting seem to be less limited and downright expansive, and what the different dogs think of their environments and how they interact with them is often hilarious. The conclusion of the book is a combination of hopeful and sad. On one hand, Sandy is forced to leave some of the good moments from her past behind, but it demonstrates how Sandy's guardians love her and their level of commitment towards her. It also promises readers that Sandy's adventures have yet to end. 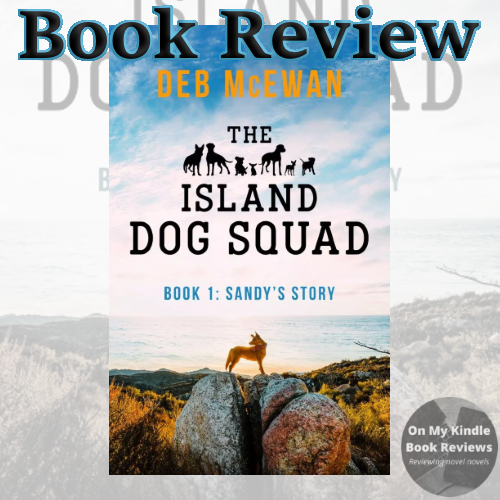 The Island Dog Squad (Book 1: Sandy's Story) by Deb McEwan is a reminder for those of us who have adopted rescue animals the reasons why we chose adoption over purchasing our furbabies. It's also clean enough for the whole family; a good thing, in my opinion, as it will help to inspire the next generation to show kindness towards animals and to adopt, rather than buy, their furbabies. I highly recommend it and plan on sharing it with the rescue group that I adopted my little furbaby from. Deb McEwan, author. Courtesy of Goodreads. Following a career of over thirty years in the British Army, Deb and her husband moved to Cyprus to become weather refugees. She’s written children's books about Jason the penguin and Barry the reindeer and adult books about aliens, the afterlife, soldiers, and netball players. The first book in the latest series 'Unlikely Soldiers' is set in nineteen seventies Britain. The second covers the early eighties and includes the Falklands War, service in Northern Ireland and (the former) West Germany. 'Friends and Revenge' is the third in the series, and takes a sinister turn of events. 'Court Out (A Netball Girls' Drama)' is Deb's latest book. Using netball as an escape from her miserable home life, Marsha Lawson is desperate to keep the past buried and to forge a brighter future. But she’s not the only one with secrets. When two players want revenge, a Tsunami of emotions is released at a tournament leaving destruction in its wake. As the wave starts spreading throughout the team, can Marsha and the others escape its deadly grasp, or will their emotional baggage pull them under, with devastating consequences for their families and team-mates? 'Court Out' will be published in August 2017. 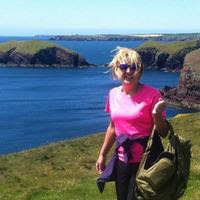 Deb spends her time writing, avoiding housework and playing tour guide. She occasionally blogs about her books and (tongue in cheek) from Donut the dog's point of view. She also tries - and mostly fails - to keep the pounds off. 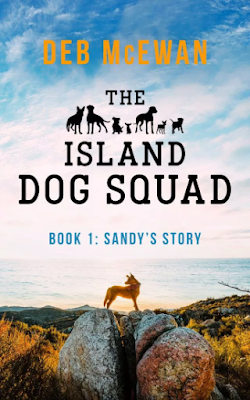 Find The Island Dog Squad (Book 1: Sandy's Story Online!